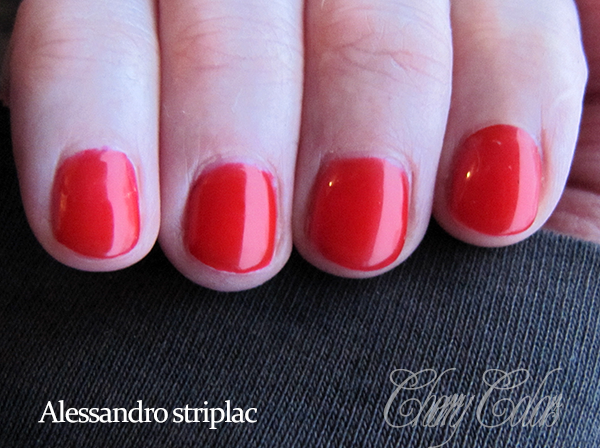 Essence gel nails at home vs Alessandro Striplac - Cherry Colors - Cosmetics Heaven! I had a chance to try the Alessandro Striplac set, so today I'd like to talk about the two kits (Essence gel nails at home) I've tried until now. This way some of you who are indecisive about the two sets, will get an idea of which one is the best for them, if any. In the Essence set you get a primer, cleanser, base and a top coat in the starter set. You can purchase an additional Frech top coat or a starter set which includes the french top coat instead of the clear top coat. + I'm throwing in an LED light (3W) because without it you can't work. Theoretically it's in the starter set. All this for the price of 45€ (with the LED light). You can purchase an additional set without the light for 15€ (or less than 4€ for the extra topcoats). In the Alessandro set you get LED light (6W), Twin coat peel-off 2v1, cleansing pads, one colored polish, a nail file and cuticle pusher. Not bad, eh? You have seen the prices and contenent in the boxes, but where's is the difference? Essence is cheap, we get that. But the huge plus is you can use it with any nail polish you own. 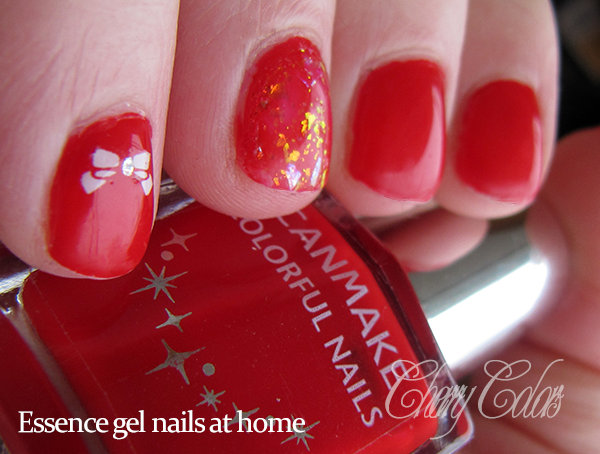 That's right no need to buy a special colored nail polish, just to get those shiny gel nails! But the huge downside is that it takes some time to dry. Because it is a regular nail polish (if you aren't using the french set), you need to wait for it to be completely dry, to finish the manicure with the gel top coat. Also it takes some time for getting used to this set, there's the process of trial and error and it's not pretty! * damn expensive (for me)! I love the Alessandro striplac line, but to be honest I can't afford it. At least for now. The color range is very limited and very expensive. It also lasts for 6 months (says so on the bottle, is it a marketing trick?). I am impressed with how thin it all is on the nails! I tried doing my Essence gel manicure the way it should be and it also came out very thin! 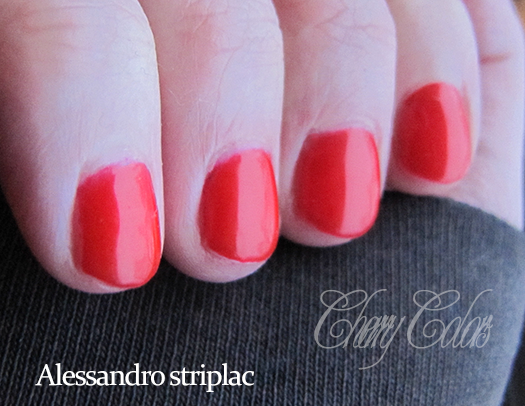 But the Alessandro striplac manicure is less time consuming, which is great! I'd prefer it (the Alessandro striplac) for quick manicures and the Essence for more nail art oriented ones. I am a bit sad that the Alessandro striplac lasted only 3 days on my nails (but I was working with a broken lipstick - the ones with lip balm and some sharp edges, nothing would survive it!) 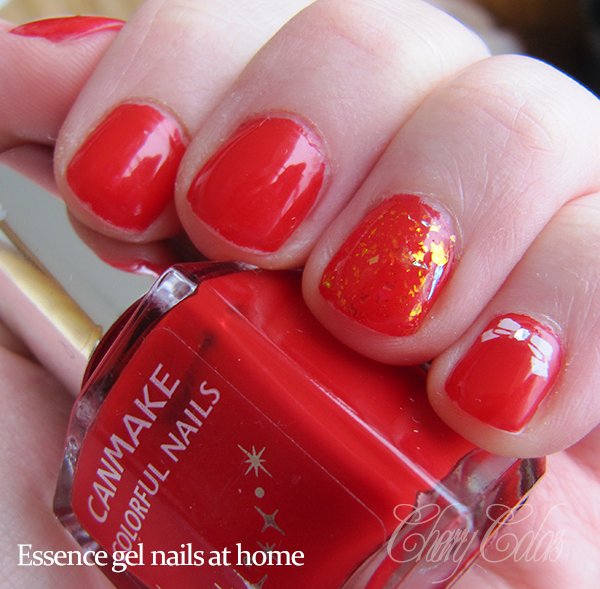 and a day later my Essence gel manicure lasted only a day! So I suppose I can't say a thing about lasting power now, my nails are sh*t right now!